Nobody wants dirty windows. What’s worse is when you clean them and there are streaks left behind. It’s a nightmare. Things can be different if you know how to clean vinyl windows. There’s a specific way to clean vinyl windows? Yes, and it’s really easy. With our technique, your vinyl windows will look as good as the day you got them. We’ll show you exactly how to clean vinyl windows in our step by step guide. Take a deep breath because clean, streak-free windows will soon be a reality! The best place to start learning how to clean vinyl windows is the actual panes of glass. In fact when they’re dirty, you notice it the most. Whether it’s dirt and grime or streaks and soap scum, your view will be obstructed if your window glass is dirty. You won’t be able to see outside very well, either, ruining your view. Don’t think guests are oblivious. They notice right away. Dirty or poorly cleaned windows stand out like a sore thumb. This problem has a simple solution. In the past, you may have tried to use chemical cleaning products to clean your window glass or wipe them down with a newspaper. That’s not going to fly here. We’ll show you the proper way to get that window glass sparkly clean. You probably noticed there are many optional items on the list. You’ll only need certain items depending on the window cleaning solution you mix. We’ll get to that next. Rather than using chemical cleaners, we recommend you make a more natural solution. We have a few examples below that may help you. That’s it. We told you it was simple. Now all you need to do is shake the bottle to mix it up. Vinegar is great for breaking down caked-on dirt and grime. While it does have a lingering smell, it can be fixed by adding essential oils to your mixture. 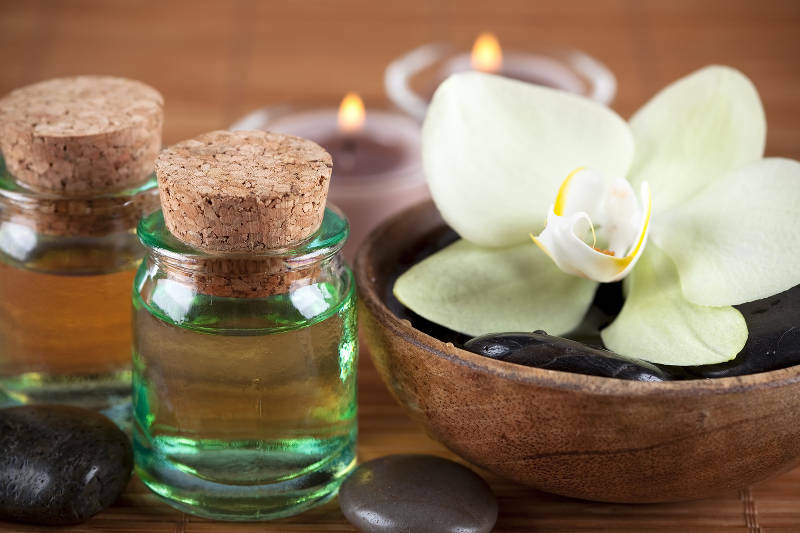 What are essential oils you ask? They’re the natural oils distilled from plants. They smell like the plant they’re extracted from. This is why they’re able to combat the smell of vinegar. Once again, mix everything up in your spray bottle. The cornstarch is optional but it helps prevent streaking. While the squeegee takes care of most of that, it doesn’t hurt to add the cornstarch either. That’s it! It doesn’t even matter which baby shampoo you use. This also eliminates that potential of smelly vinegar without losing it’s ability to cut through thick grime. Once you’ve decided which solution you’re going to make, it’s time to apply it to your windows. This is why it was mixed in a spray bottle. You can now spray the entire surface of your windows. Let it soak in for a couple of minutes so it can break away at any stuck-on dirt. 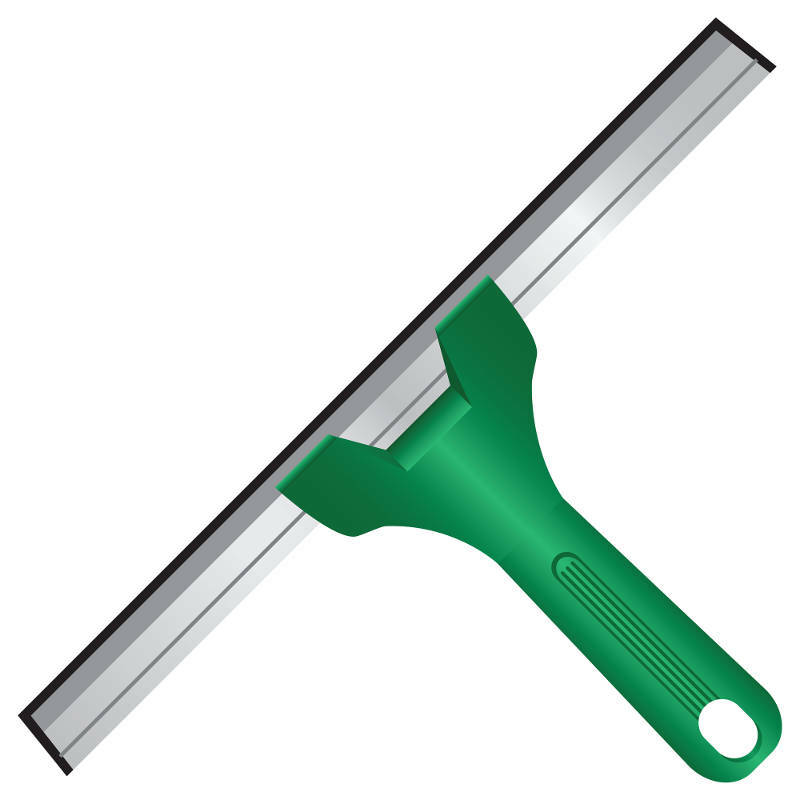 After you wait a couple of minutes, you can squeegee the solution off of your windows. Start from the top and drag the rubber end of the squeegee down the glass. Repeat this for the entire length of your window. You can use the paper towel to wipe off any mess left on your window sill or floor. Now your windows are clean and streak-free. Your last step is to dry your window glass. Use your microfiber cloth to dry off any remaining solution. Now you’re done and your windows will be sparkling clean. Hold up – you’re not done learning how to clean vinyl windows yet. There are still a couple of steps left to go! Next up are your window screens. Much like cleaning your window glass, cleaning your screens isn’t hard. It only requires a few steps. The most difficult part of cleaning your window screens is taking the screens out of your window. That doesn’t mean it’s hard though. There’s a unique way to remove the screen out of each Feldco window style. We’ll explain how for each one. 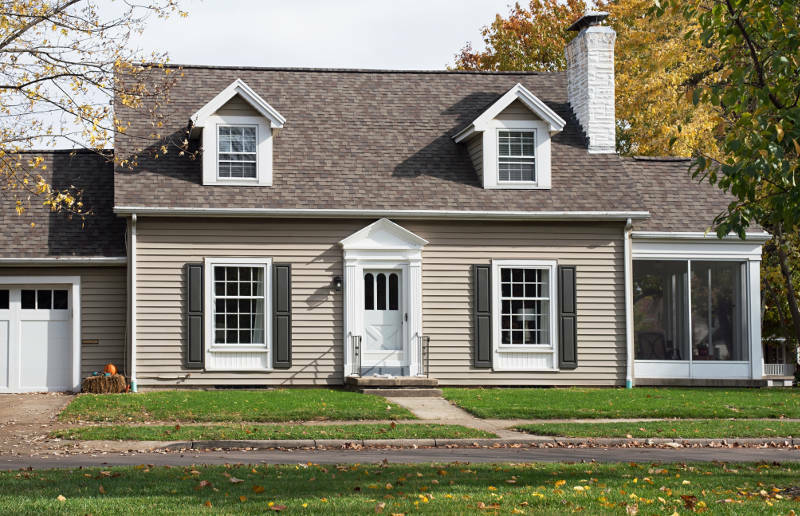 Double hung windows are the most common window style on the market. There’s a good chance you have a double hung window in your home so it’s important to learn how to take the screens out. Start by opening up your window as much as possible. You should be able to touch the screen. At the bottom of the screen are two tabs. At the same time, pinch both of the tabs and twist the window screen. Now the screen should be out of the frame. Pull the screen into your home at an angle and you’re ready to start cleaning. Casement windows are a little different. Since they open outwards on a hinge, the screen is on the inside of the window. That means you don’t have to open the window to reach your casement screens. Rather, these screens are held into the frame using four tabs on each side. Simply pull each tab out and the screen should come right off. A slider window is very similar to a double hung window which means the screen is on the outside. Unlike the double hung window, you’ll have to remove an entire window sash before getting to your window screen. Don’t worry – it sounds harder than it really is. Start by opening one side of your sliding window. Now grab both sides of the window and push up until the bottom of the sash comes out of the track. Now pull down and the window will come right out. Once you’ve done that it’s time to focus on the screen. Much like the sash, open the screen so you can grab it on each side. Push up and pull out so the screen is no longer in the track. Since the screen is on the outside of the window, you’ll have to twist it and pull it into your home. Now that you have all of your tools, it’s time to start cleaning your window screens. 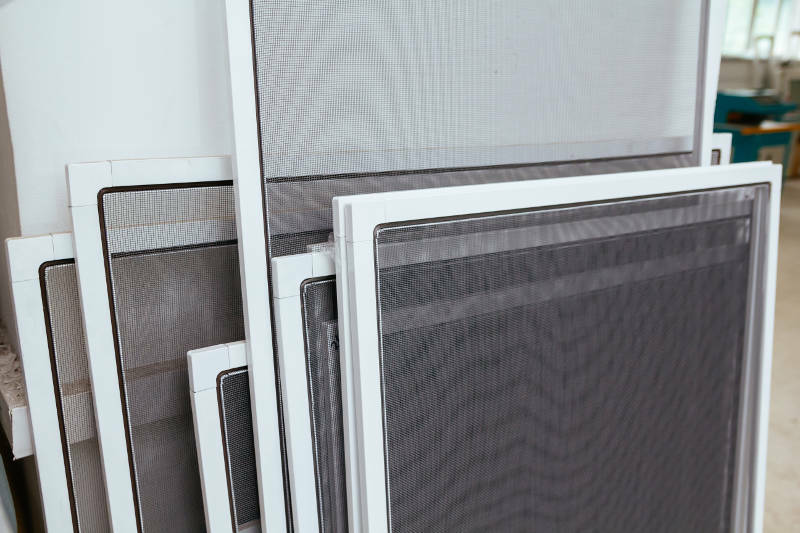 Unlike window glass, screens are like a giant net that can catch things such as hair and dust. Sometimes, cleaning with soap and water isn’t enough. That’s why it’s important to vacuum your window screens before you start washing them. You’ll eliminate any dust and hair stuck between the screens. You have two choices for your cleaning solution. Both start with a bucket of hot water. Then you can either add vinegar or dish soap to the bucket. While soap smells great and will wash your windows well, we prefer a vinegar solution because it’s all natural and cuts through stuck-on dirt and grime easily. However, vinegar does have an odor to it. That can be fixed by adding essential oils to your mixture. Time to get rid of that caked on dirt. With your soft bristled brush, scrub the screens with your solution. The brush will get between the grains of your screen so nothing will be left behind. Your screen will look like it did the day you got it. Lastly, you’ll want to rinse the solution off of your window screens. 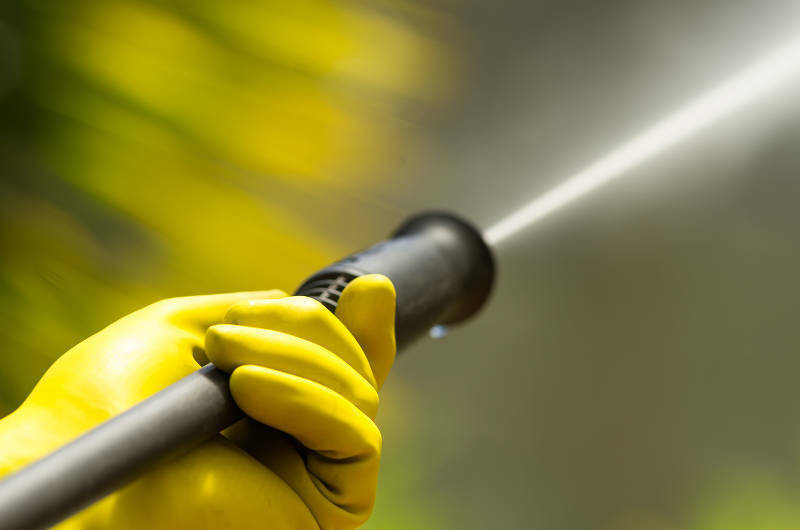 Using a garden hose with low pressure, spray the screens. You can then leave them outside to dry once you’re done. Using a towel could cause lint to get stuck in the grating. Wouldn’t that defeat the purpose of cleaning your window screens? You’re almost done learning how to clean vinyl windows. Only one last step – cleaning your window frame. Your window frames and sill can get coated in dust and dirt so it’s important to take care of them as well. We’ll go over how to properly clean your window frames. The reason some of these items are optional is because they’re part of different solutions. 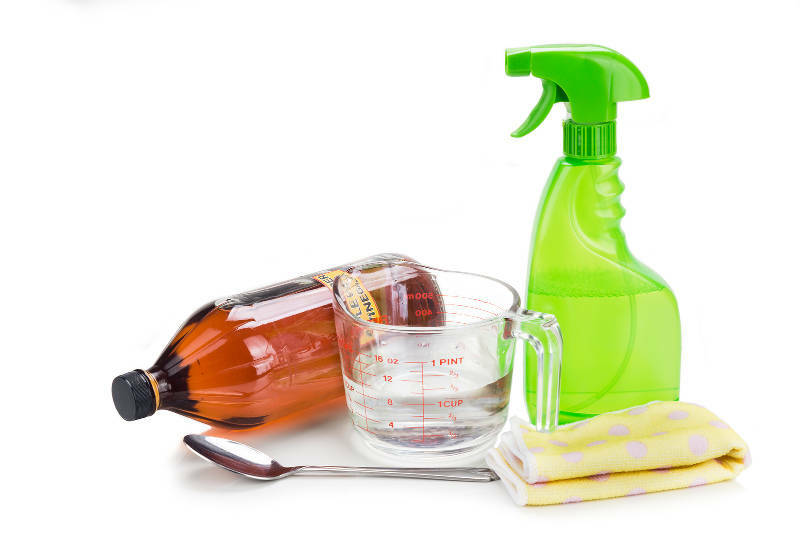 You’ll either need a water vinegar mix in a spray bottle or a household cleaner. Both will take care of any build-up but the vinegar water solution is all natural. In the end, the choice is yours. The last thing want to do is get dust wet – it’s much harder to get off then. Instead, vacuum your window frames and sill before you start washing them. Make sure you focus on top of the frame, the track, in corners and along the edges. It’s important to get as much dust off your window frames as possible before you start washing them. Now that the dust has been taken care of, you can start cleaning your window frames. Apply your cleaner to the frames and wipe them down with a cloth rag or paper towel. Some Feldco windows make it easy to clean both sides of the window from inside your house. Double hung windows have tilt latches on the top of both operating sashes. When they are pressed in, your window tilts into the home so you can clean both sides. 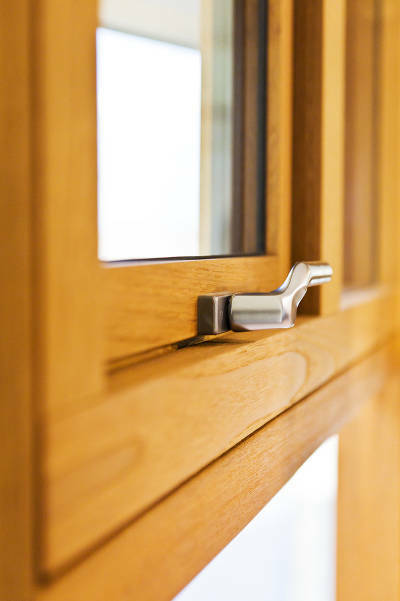 If you open a casement window as far as it can go, you’re able to reach both sides. All you have to do is rub the solution on both sides of your window using a microfiber cloth or paper towel. Slider window sashes can be taken out of the track so you can clean both sides. All you have to do is grab both sides, push up and pull out. That will remove the sash from its track. What if They Don’t Operate? Some window styles, such as picture and architectural windows, don’t open. What do you do now? If you’re the adventurous type, you can take your solution up on a ladder and wipe the windows down from the outside. Be EXTREMELY careful not to slip. If you’re like us, you’re not going up any ladder to wash your windows. If that’s the case, you can always use a power washer. It has a powerful stream that allows you to reach any window from the safety of the ground. It’s extremely easy to maintain your vinyl windows. They never need to be stained or painted and they won’t lose they’re beautiful looks. Doesn’t that sound awesome? Of course it does! Get a free quote from Feldco. You’ll be enjoying your new vinyl windows in no time.